Warren Hood began playing the fiddle at the age of eleven. He attended Berklee School of Music where he was awarded the school’s top honor – The String Achievement Award. He has since gone on to win numerous awards for string virtuosity and has been recognized three times as String Player of the Year in the Austin Chronicle Music Poll. The son of Austin, TX music legend, Champ Hood (Uncle Walt’s Band, Toni Price), Warren has become an accomplished multi-instrumentalist, songwriter and singer. 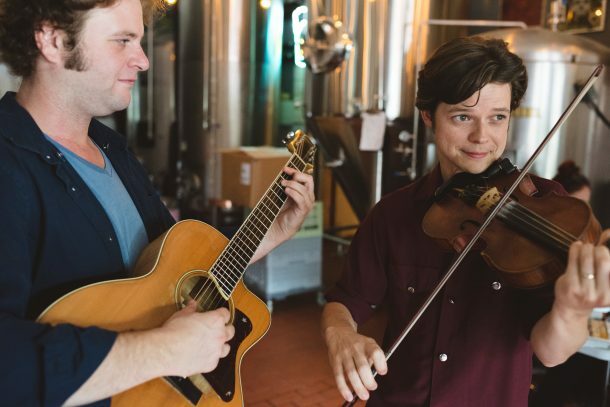 He has toured extensively as a member of acclaimed Bay Area band The Waybacks (featured on NPR) who accompanied former Grateful Dead founder Bob Weir and as violinist for world-renowned recording artists, The BoDeans and Texas singer-songwriter Hayes Carll. He has also performed and/or recorded with such noteworthy artists as Lyle Lovett, Joan Osborne, Emmylou Harris, Ben Kweller, Little Feet, Elvis Costello, Susan Tedeschi, Gillian Welch, and Alejandro Escovedo.